Meeks Park is the main recreation park maintained and developed by Union County. It has sports fields (mainly baseball), playgrounds, walks, bridges and more. 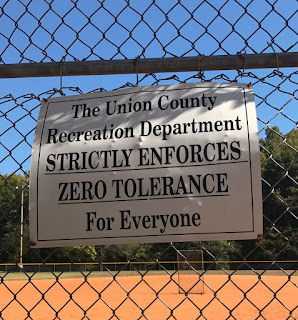 The park is a credit to Union County. 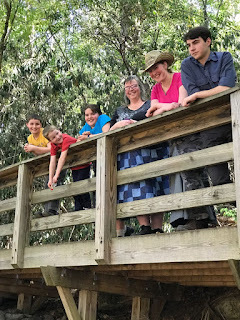 We enjoyed a picnic lunch there today, followed by a walk along the creek, listening to the leaves dropping and caught sight of a squirrel sprinting from tree to tree. We have already tested out the playground a number of times and met some old friends there who normally aren't there at that time of day. Our meeting was obviously meant to be. The sign on the baseball field fence was interesting. 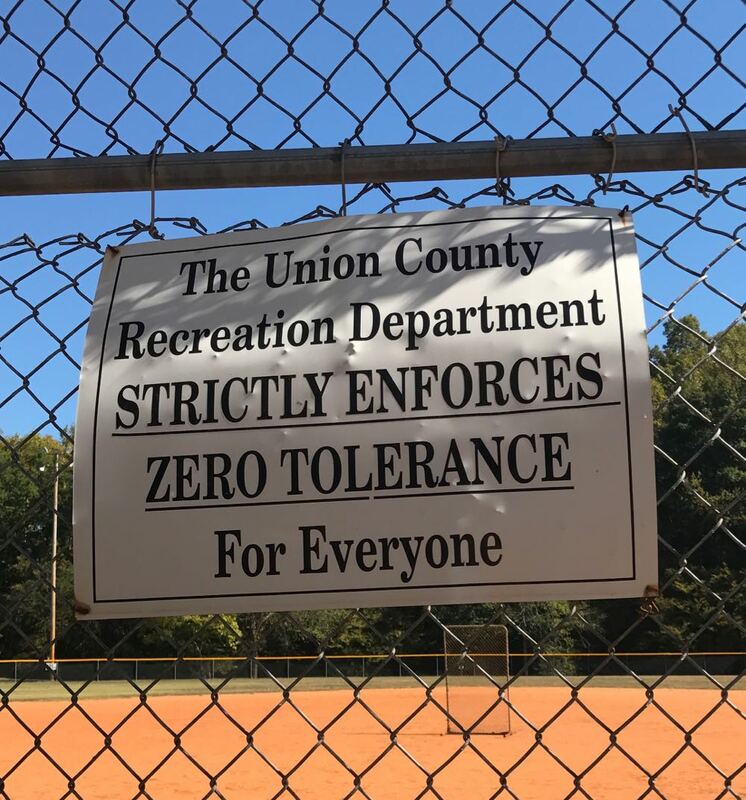 Does this mean that the Union County Recreation Department staff actively look for anyone who may be tolerant and tells them in no uncertain terms, "Stop being tolerant!"? Perhaps I'm reading the sign wrong? Enjoying the cool walk by the creek. The Sorghum Festival was held in the large open area of Meeks Park and will be replayed again this weekend. 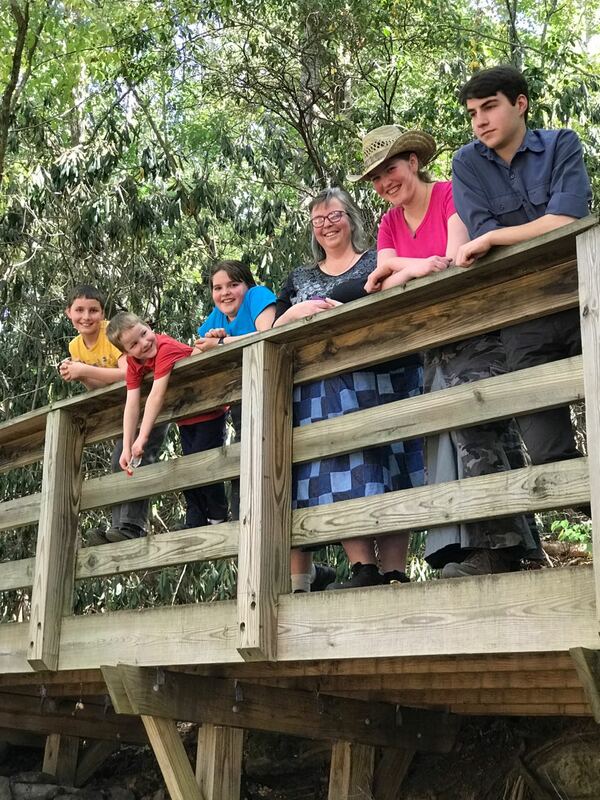 This park is a great resource we have truly appreciated.